Are you suffering from the post marriage blues or struggling to find the happy couple a gift? Then pamper yourself with a wall decal or give the bridal couple an original gift! 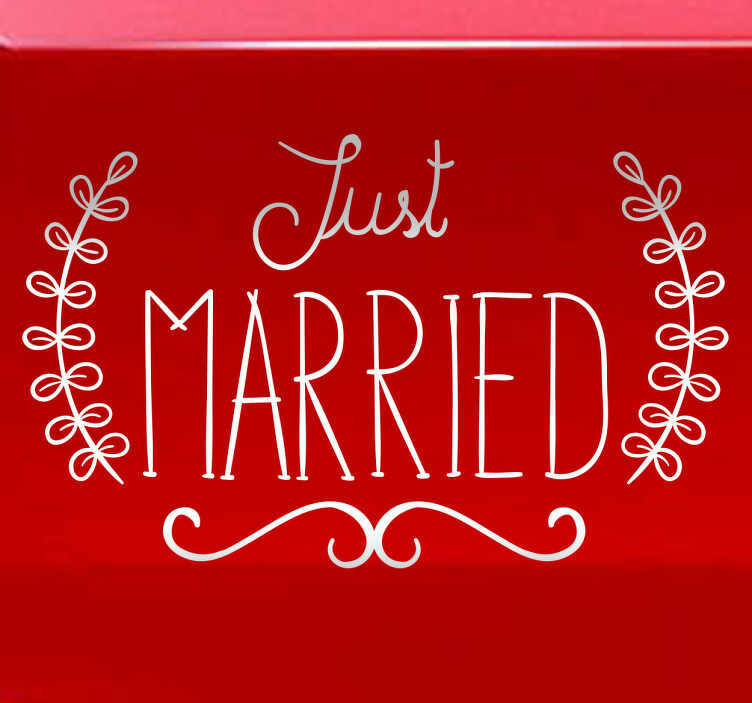 This wall sticker consists of the phrase "Just Married" written in an eloquent font. Like all our stickers, this design is available in many different sizes and colours.